Motorola Solutions provides public safety with mission-critical services, software, video, and analytics, backed by secure, resilient land mobile radio communications. Their drive for continuous innovation and partnership with their customers enables them to be ready in the moments that matter most. Our Genovation programmable keypads are utilized in the VESTA® 9-1-1 emergency call handling solution because of their rugged reliable design and ease of use. In an emergency, it is critical that technology performs as quickly as possible. Using the highest quality key switches (50 million operations), and a reliable combination of hardware, firmware, and software programming makes the Controlpad series perfectly suited for emergency call handling applications. 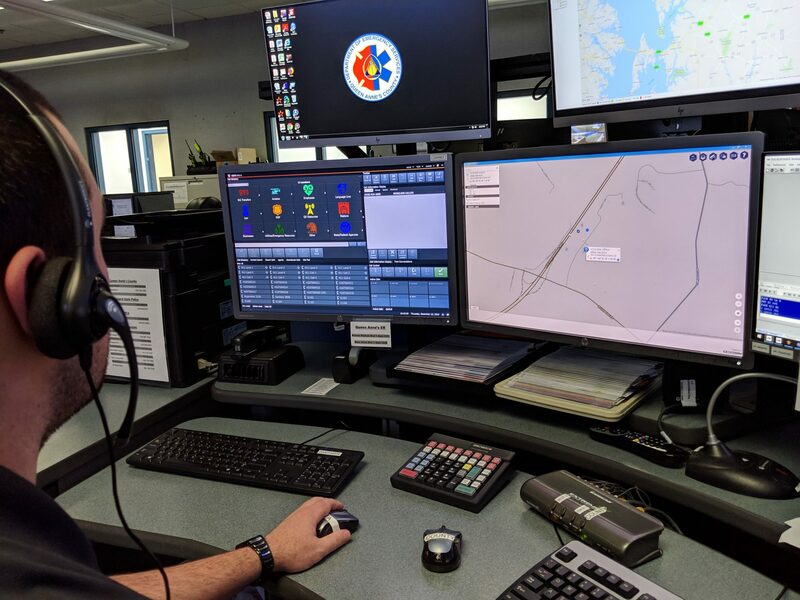 Motorola Solutions has designed their solution to utilize these customized programmable Control pads in Public Safety Answering Point across the United States for the moments that matter most. Baker Audio provides another mission critical emergency 9-1-1 application using the Genovation Controlpad 682 is the Baker Audio MedStar 911 Ambulance Services systems which are installed and in use in many areas of the United States. The Controlpad 682 provides a quick and reliable way for operators to select functions and shortcuts to application windows. Baker consoles and 18 operators process over 70,000 emergency calls annually. Genovation programmable products are integrated into emergency 911 emergency response systems to help operators route calls quickly and save lives. A typical 911 emergency operator, shown above, uses the Genovation Controlpad 683 which has been programmed with shortcut macros to reduce a sequence of keystrokes down to a single key press and speed up the time and efficiency of emergency calls.